Back in 2011, Operation Eyesight drilled a borehole in Muuka village, located in Zambia’s Sinazongwe District. Because of generous donors like you, 238 people finally had access to clean water. As a result, the population increased to nearly 350, as more people settled in the village and new families were started. Unfortunately, the borehole become dysfunctional in 2016, and the community didn’t have the capacity to fix it. 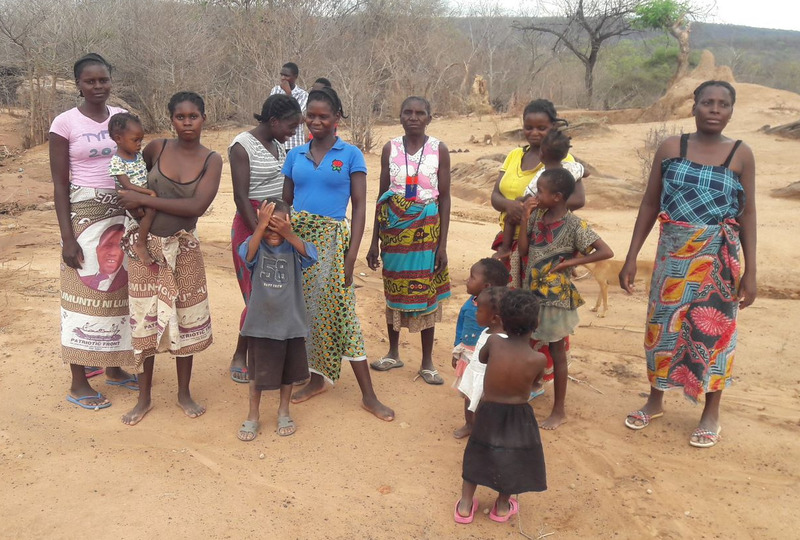 To make matters worse, the dry season in the Sinazongwe District is very dry, with little to no rain. All the deciduous trees shed all their leaves in August, and there is no green vegetation visible for miles. Years of inadequate rainfall in the district have caused all the hand-dug water holes and seasonal streams to dry up in Muuka village. Because of this, the villagers faced immense challenges in sourcing the water they needed while the borehole wasn’t working. The water source they did manage to find wasn’t protected, so they had to share it with animals. This meant they were susceptible to disease. It also meant they didn’t have clean, safe water to wash their faces and hands with, which put them at risk of contracting trachoma. Trachoma is a bacterial eye infection which spreads easily through contact with eye discharge from infected people on hands and clothing, and also through direct transmission by flies. 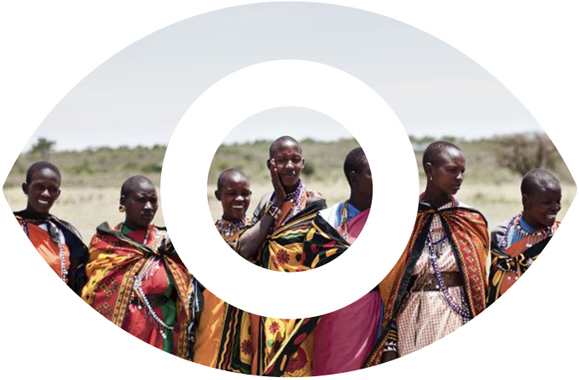 Left untreated, trachoma leads to irreversible blindness. Fortunately, Operation Eyesight’s donors stepped in to help, by donating to our borehole rehabilitation training program. 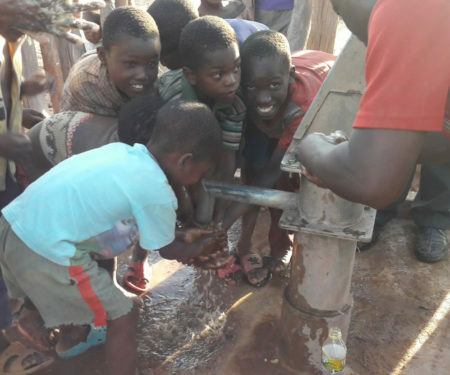 The people of Muuka village were delighted to see a team of local, Operation Eyesight-trained pump minders arrive to rehabilitate their borehole. Excited, the people of Muuka village gathered around the dry and dusty borehole to watch the pump minders do their work. When it was done, everyone was filled with joy! The women looked on smiling as their children hurried for their turn to drink the flowing water. Thanks to kind-hearted people like you, the people of Muuka village have a reliable source of clean water again. Now families have safe water for cleaning and cooking, and they can help stop the spread of trachoma and other disease. Our donors should be so proud of the incredible difference they’re making in the lives of thousands. You can help other villages like Muuka by donating to our Greatest Needs program, so that families will receive the help they need when they need it – For All The World To See!